Use a dough scraper/cutter or your fingers, to scrape the wet porridgy dough away from the sides, using plenty of flour to stop it sticking, and shuffle it back into a nice round shape. Don't be tempted to knead it. I find this works best for me if I make the dough around the school run (3.30pm) then do the first dough slooshing when I get up, then bake it mid morning. As you can see, the times can be very approximate! Another option might be to mix the dough on a Friday when you get in from work, sloosh it mid morning on Saturday and bake it at lunch time ready for Saturday evening. It seems like a long process but it really is no effort when you get your head round it. If you haven’t got one yet it’s worth getting a dough cutter/scraper to save on sticky fingers. My plastic one was only 90p from a local cook shop. My new Le Creuset (25cm) is a little bit too big for this recipe so I sit my lightly oiled 20cm mermaid pie tin in the bottom to help shape the loaf to be a bit taller and rounder. I also sometimes scatter a bit of semolina in the base for an extra crunchy bottom. You can use oil instead of flour to de-stick the dough from the mixing bowl, but it makes for a wetter and slighty denser outcome like the one shown at the end of this post. 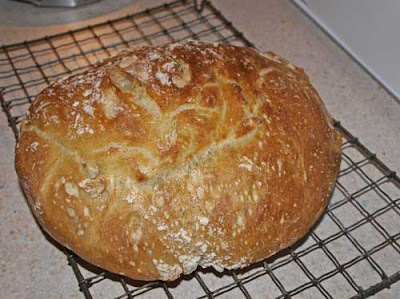 It is one of those loaves that comes out a little bit different every time anyway due to the extended prove. If you fancy turning it into something a bit different to the normal loaf you can make the dough into ‘Fougasse‘ that's at the bottom of this blogpost:http://thingswemake.wordpress.com/2009/06/03/make-it-crusty/or I sometimes split it and make 2 fougasse and a 1Ib tin loaf baked with the loaf tin placed inside the cast iron pot. 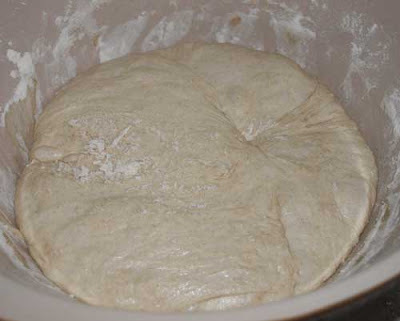 The picture above is the gloopy, fermenting mixture of flour, yeast, water and salt. and here is the cooked bread in it's Le Creuset casserole, it came out remarkably easily, I was a bit concerned that it would stick. 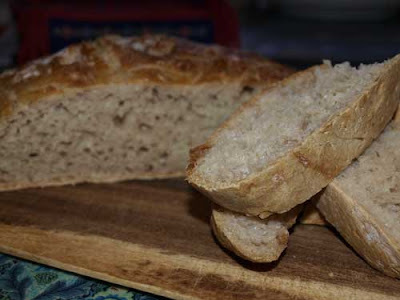 The loaf is remarkably like a Ciabatta, it has the same open texture and chewiness, it also kept very well. 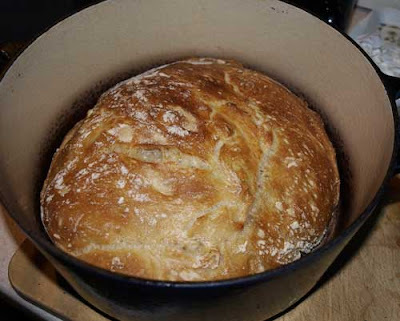 I would definitely recommend this loaf and I know that other bakers who didn't have a Le Creuset casserole used other kinds of pots with lids (it's the steam that is important), so why not check out their blogs via the Fresh from the Oven blog and have a go yourself. You know how I am waiting for my kitchen to be rebuilt and I'm living in amongst the new units? Well I can't get at most of my cookbooks and I hadn't realised how much I refer to them. There is a little bit of the shelf at the right hand side that is accessible and I managed to extract a little book called Let's Cook Simple Suppers by BBC Good Food (probably free with the Good Food Mag) and in it I found this recipe to use with my lamb chops. 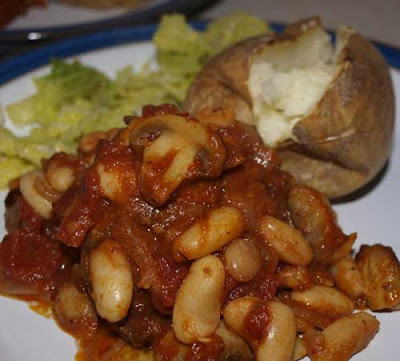 The recipe is actually for haricot beans but it does suggest cannellini or flageolet beans as an alternative. 1. Preheat the oven to 200C/Gas 6/fan oven 180C. 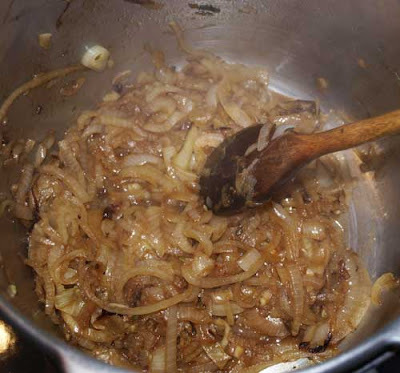 Fry the onions in 2 tablespoons of the oil for about 5 minutes. Add the garlic, beans and half the oregano, and stir briefly. Add the stock and tomatoes, season, then bring to the boil. 2. Tip and bean mixture into a large ovenproof dish. Lay the chops on top of a single layer. 3. Sprinkle with the remaining oregano, drizzle with the remaining oil and seaon. Cook in the oven for 30 minutes until the chops are tender and nicely browned. I was inspired by a recipe for a 'Lighter Chicken Pot Pie' on The Bite Me Kitchen Blog. I can't remember the last time I made I made Chicken Pot Pie, but I do remember the first time I had it. My dad worked for a US company and often went to California and Arizona on business. The first time he was able to take my Mum with him was in 1975 when I was 16, it had been arranged for me to go to Belgium to visit friends there for my holiday and my older sister was working during vacation from university. 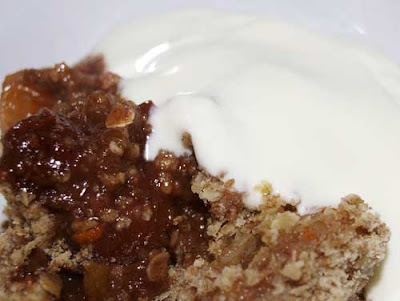 When Mum returned she brought with her an 'American Cookbook' and this was one of the recipes she made from it that we all loved and became a familty favourite. I decided to make it yesterday, because of a mix up over whether my MIL needed any supper on Friday, I thought she didn't and apparently she did! So I used one of the chicken breasts that I had planned to have on Saturday, this left me with less chicken so I used the idea from The Bite Me Kitchen of bulking it up with lots of veg. I didn't however, go for a pastry topping, but the 'biscuits' as per the original recipe. I have actually got my own copy of the book Mum brought back from the states (I bought it in 1979 when I first went to California), but it was jammed in behind the new kitchen units, so I just made a basic unsweetened scone recipe. OMG it was good though, the biscuits were soft and deliciously buttery (that would be the butter lol!) and the chicken and veg were sweet and tender in their luscious gravy. 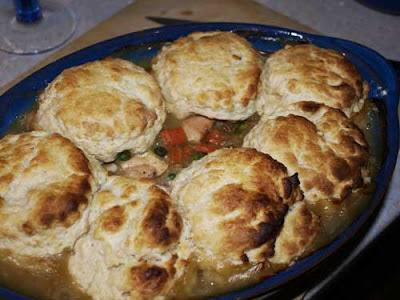 When the kitchen is finished I'll dig out the book and post the recipe but it is really just chicken, onions, carrots and peas thickened with flour and sauced up with chicken stock, then the biscuit/scones on top. Just a little update on the new kitchen. The joiner (carpenter) who is coming to fit the kitchen said he would "be here in the middle of this week at the earliest" we are interpreting this as probably next week. 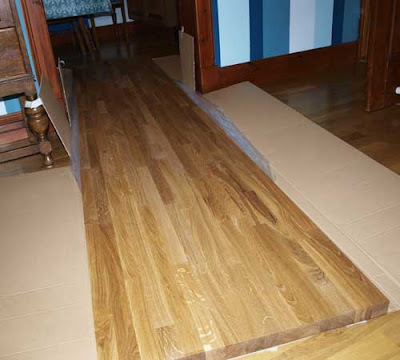 These oak worktops are supposed to be oiled and, indeed the oil came with them. However, as my MIL (85) lives with us and is likely to use all sorts of chemical sprays on any available surface (and will not be told) we decided that it was safer to varnish them. The joiner says this will be fine and at least they will maintain their fabulous finish. The varnish is matt so it really doesn't show at all. I was really excited when I saw how gorgeous the worktops look and how well they match our wooden floor. Mind you we have spent all weekend moving them, painting them and stepping over them! This is dessert from last Sunday, I was just too busy this week to blog it. As usual it started out as a different recipe, Peach and Orange Oat Crumble, but they had plums on special offer in Tesco and I wouldn't buy peaches just now anyway. The combination of the plums and orange was really nice. I still have half the crumble mix left in a jar in the fridge for another crumble. 2. Cut the plums in half, remove the stones, and cut in quarters. Place in an ovenproof dish. Scatter the cinnamon and caster sugar over the top. 3. Zest the oranges on a fine grater into the bowl then, using a serrated knife, cut away the peel and segment the orange over the plums. 4. Put the flour and oats into a bowl, rub in the butter or margarine, mix in the Demerara sugar, then pile the crumble on top of the fruits. 5. Bake in the oven for 20-25 minutes until golden brown on top. 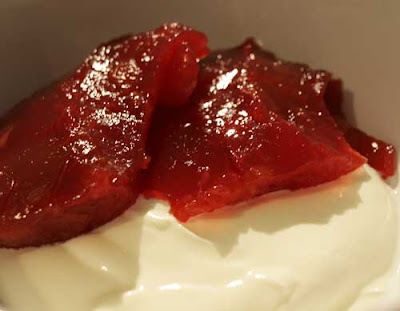 Serve hot with low-fat custard or virtually fat free fromage frais. I haven't had a lot of time to blog this week, I was dog sitting for my friend at the start of the week and have been too tired the rest of the week. But thought I'd better show face here with some kind of offering. 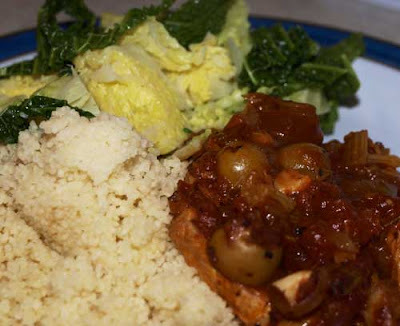 I made this pork dish with pork loin steaks, onions, tinned tomatoes and olives (stuffed with garlic), served with couscous cooked in chicken stock and seasonal savoy cabbage. 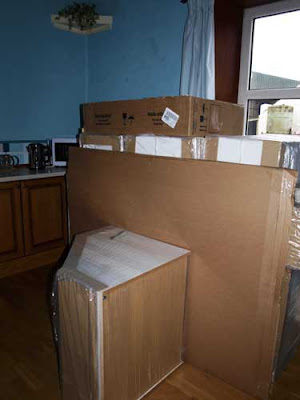 The kitchen units arrived this week. 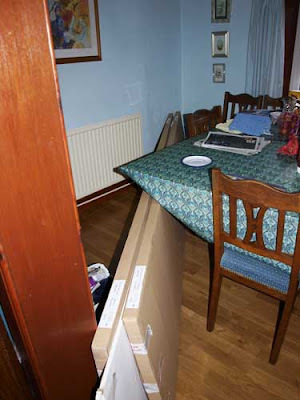 DH thought they would be flat packed, but no they come ready assembled which does take up a bit more space! 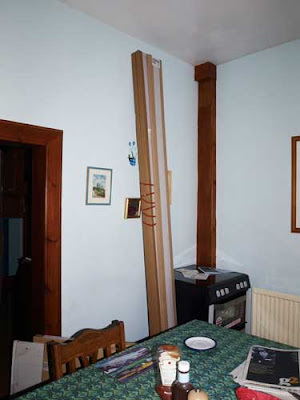 The oak worktops are very long and have to be propped up right across the dining room making it a bit of a squeeze in there. Those are the pelmets leaning up against the wall. We only need the joiner now and things will start to happen! You know the way you buy some pears and it takes all week for them to ripen? 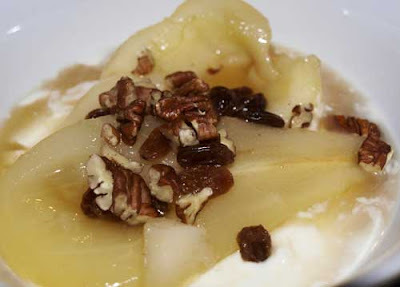 Yes, well I bought these pears last week and they were perfect today. 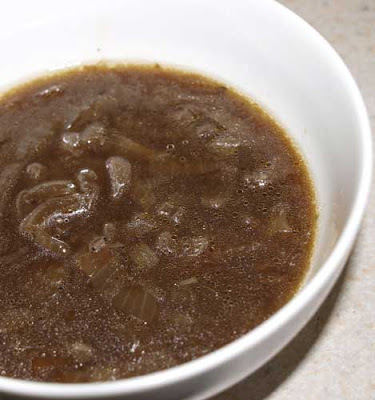 So I had a quick search on the internet for a suitable dessert recipe and found this.